Fred Clark, as he was always known, was born to publicans in South London. Sometime later, the whole family moved to Seaford in East Sussex. 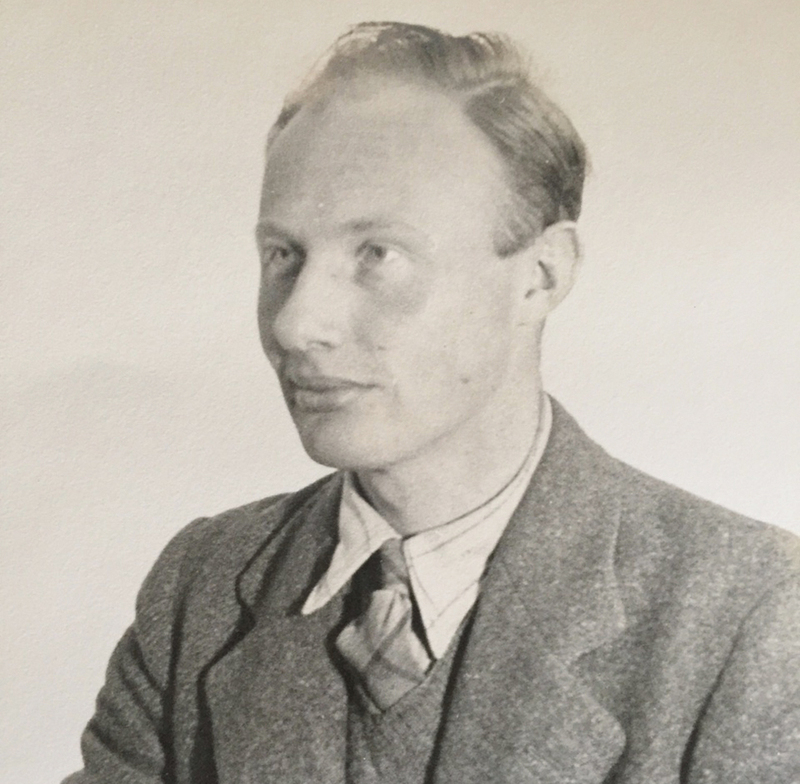 Fred’s greatest passion in life was collecting and, following the family move, he loved nothing more than field-walking in Seaford and on the Peacehaven Downs. These areas were rich in fossils and prehistoric flints. 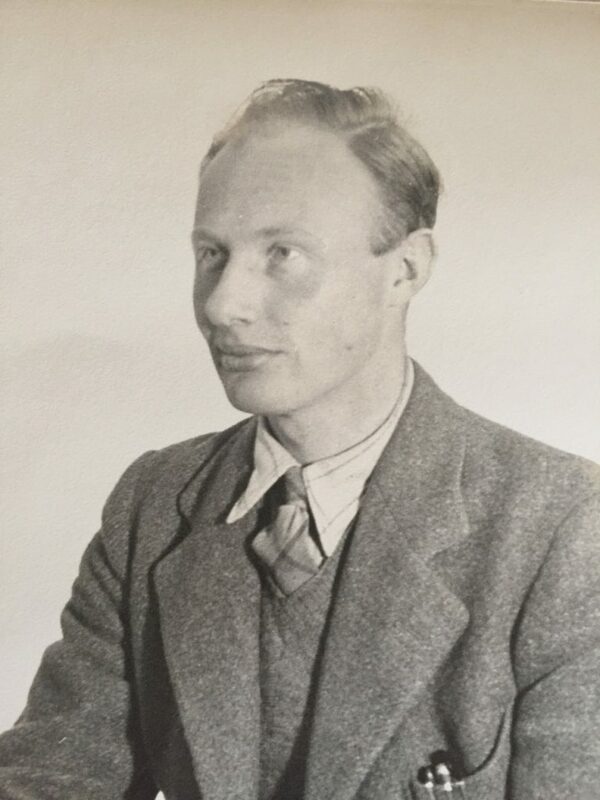 Such was his passion for collecting that he would, on occasions, ride all the way to Suffolk on his BSA Bantam motorbike, following in the footsteps of his predecessor Dr William Allen Sturge and those of his great friend, the collector Dr Hugh Fawcett, who was well-known for his lithic collections. 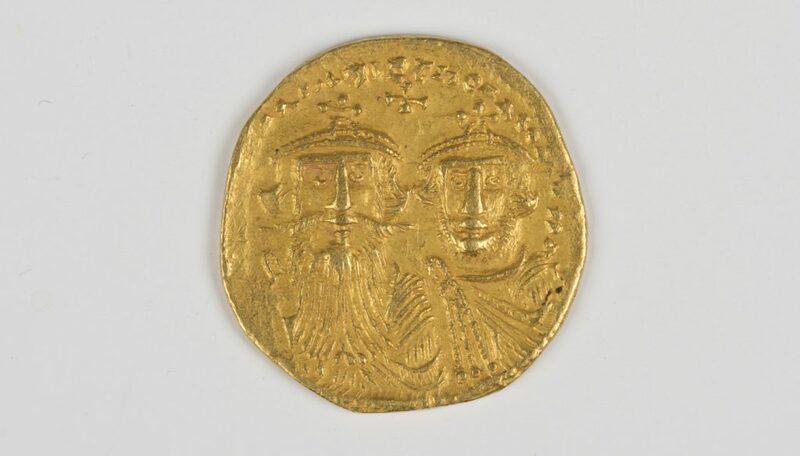 Lot 892: A Byzantine Empire Heraclius with Heraclius Constantine (610-641AD) gold solidus, the obverse with two busts, Constantinople mint. Once again the family moved, this time to Woking in Surrey, and in the 1960s Fred decided to open a shop in nearby Guildford selling collectables. These included fossils, minerals, prehistoric tools and coins. His shop was to become very popular with collectors and he continued to trade there until he retired in the mid-1980s. Following his retirement, he moved to Worthing, where he stayed for many years until he sadly passed away following a short illness. 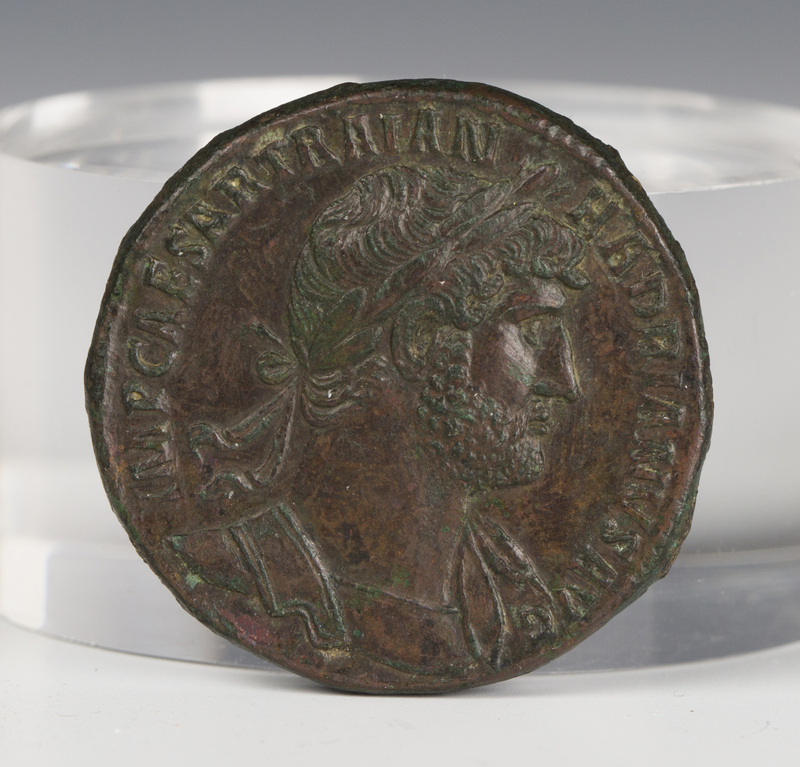 Lot 807: A Roman Empire Balbinus (238AD) antoninianus, the reverse with clasped hands beneath ‘Concordia Augg’. Fred Clark was meticulous with recording. Every artefact he found would be written on with a location and his monogram ‘FC’, which remains well-known by academics and collectors to this day. Fred formed his coin collection predominantly during the 1960s and 1970s. A remarkable collection of coins, predominately from Classical Antiquity, have been entered for auction at Toovey’s and is expected to realise tens of thousands of pounds. This single owner collection of coins was formed during the 1960s and 1970s by the late Fred Clark, a gifted and meticulous antiquarian. Fred rode his BSA Bantham motorcycle all over Suffolk and the South East of England collecting not only coins but fossils and prehistoric flints too. When his family moved to Woking in Surrey in the 1960s Fred opened a shop in Guildford which became a favourite haunt for collectors. The study of the ancient civilisations of Greece and Rome have had a profound influence on Western Civilisation and thinking over millennia. 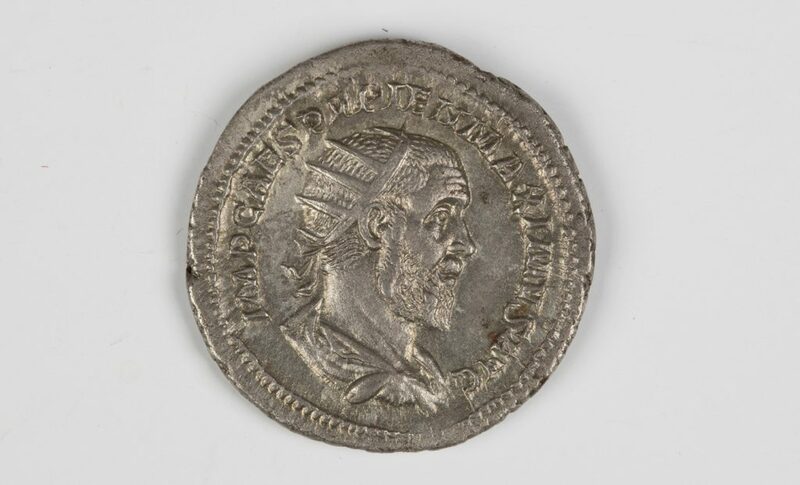 As we look through this remarkable collection it becomes apparent that nearly all the Roman Emperors are represented in the coins. Fred Clark was a gifted classicist. The coin reminds me that the Emperor Hadrian was a brilliant administrator and travelled the Empire visiting the Provinces and ensuring discipline in the Roman armies which he held in such high regard. Hadrian was also renowned for his love of architecture and building. The Pantheon which he rebuilt in Rome still stands. Hadrian left his mark in Britain too. The Vallum Hadrian, known today as Hadrian’s Wall, was built around 122AD. It stretched from coast to coast and its ruins can still be seen today. The British Empire looked to the Classical Antiquity for inspiration in its arts, architecture and objects. 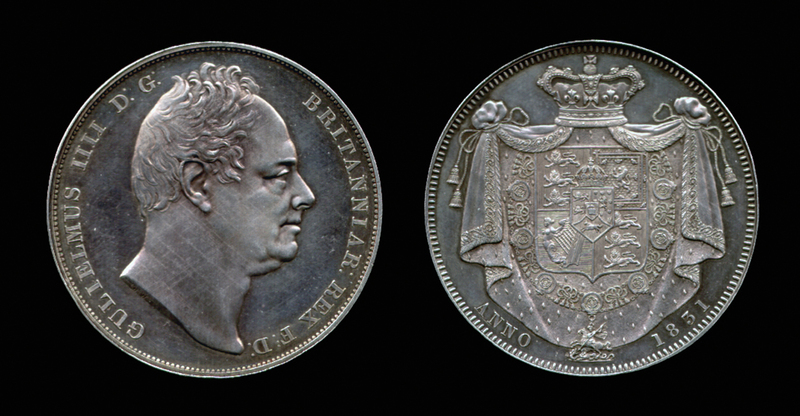 This influence is apparent in the George IV crown dated 1821 which depicts the King as an Emperor from antiquity which is in fine condition. With estimates ranging from the low hundreds into the thousands the collection is expected to realise tens of thousands of pounds. The Fred Clark coin collection will be auctioned at Toovey’s on Wednesday 1st November 2017 in the afternoon. Coins connect us with the procession of human history in a remarkable way and delight in the quality of their aesthetic and manufacture. No wonder that they are a boom market. The field of coin collecting brings together social, political and economic history with art and culture. Coins have been collected since Roman times and provide a tangible link to our past, present and future. Coins have often been crafted by the finest engravers and sculptors of their time and are frequently works of art in their own right. Whilst rarity is important to the value of any particular coin it is condition which is of overriding significance in establishing values. There is an enormous disparity between the price of a worn example of a coin compared to one in extremely fine or uncirculated condition. This is apparent in the prices realised by the exceptional George VI gold four-coin specimen set from 1937 and the William IV Crown from 1831 which made £8500 and £6000 respectively at Toovey’s specialist coin sales. Sharper coins were produced by the process of milling coins with dies mounted onto a screw press. This can be seen by comparing the handmade Charles I gold Unite with the later coins illustrated. The Unite was a 17th century gold coin worth twenty shillings or one pound but this example sold recently at auction for £1600. 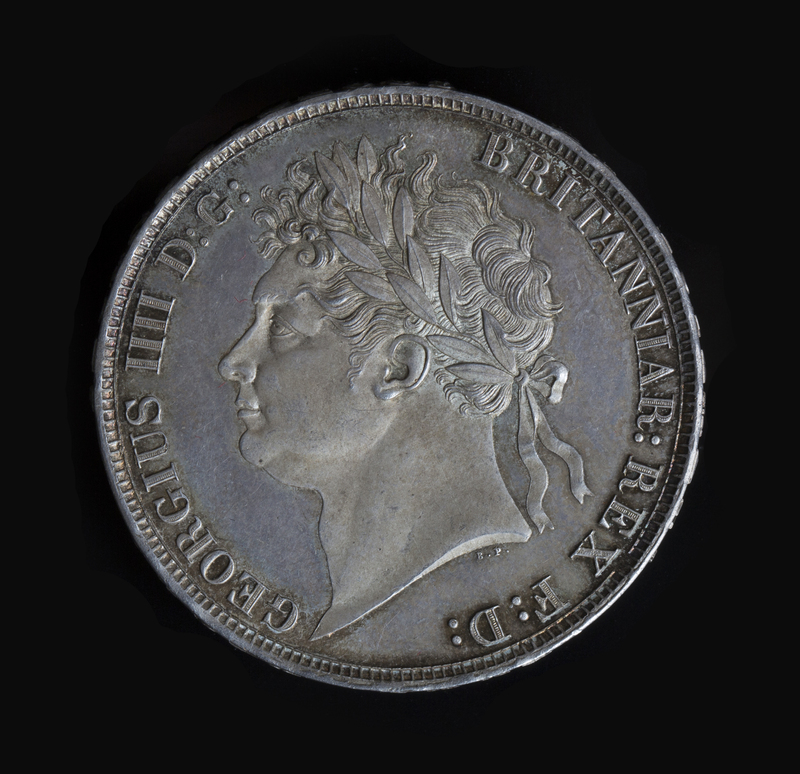 The difficulties of manufacturing blanks to a uniform weight ensured that coins continued to be made by hand until the Restoration in 1660. Charles II brought the Roettiers brothers with their improved screw press from Holland to London. 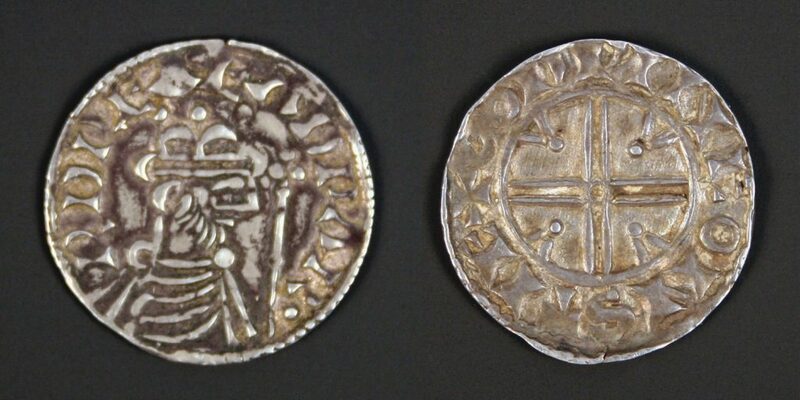 The first English coins made by this method for circulation were the 1662 silver Crowns. As a general rule coins should never be cleaned without seeking expert advice. Silver and copper coins can appear to be tarnished but this patina is prized by collectors. Collectors quickly develop an understanding of condition and quality. As they handle and inspect different examples their understanding and eye tone. There are many fields to capture the attention of collectors. Some will collect coins from a particular country, others will focus on a specific type of coin like Crowns, or a period. Many are attracted by collecting coins made from precious metals. I love to imagine who might have held the coins which come to auction and what points of history they have encountered. With such breadth of interest, price and quality coins have a growing following and remain one of the most buoyant collectors’ markets.